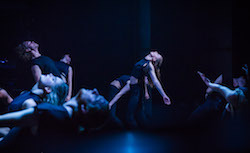 In Rise, the talented student dancers of the Western Australian Academy of Performing Arts (WAAPA) reach new artistic heights in neo-classical and contemporary dance works created on them by four outstanding Australian choreographers. Rise, featuring works by Jayne Smeulders, Scott Ewen, Bernadette Lewis and Kim McCarthy, will be performed by WAAPA’s 2nd and 3rd Year Dance students in WAAPA’s Geoff Gibbs Theatre from Saturday, May 6, through to Friday, May 12, at 7:30pm. Smeulders is an award-winning, much-loved performer in the local arts scene, having spent 17 years with the West Australian Ballet, the last nine as principal dancer. She choreographed WAB’s 2011 production of Cinderella and a number of pieces for programs such as Ballet Under the Stars. Having retired last year after an illustrious career as a dancer, Smeulders is now working as a dance teacher and choreographer. 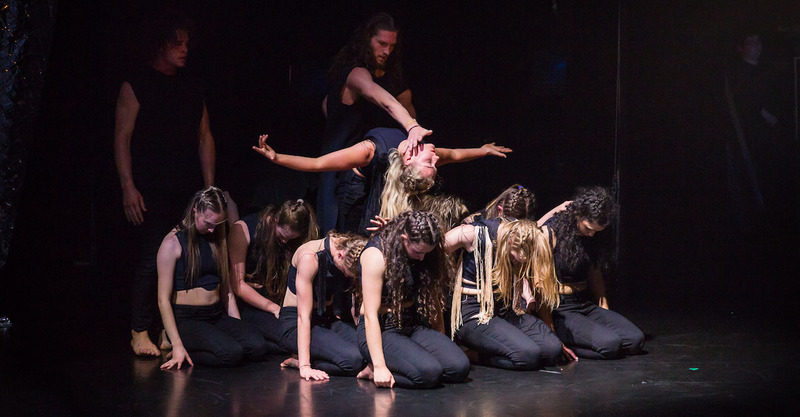 WAAPA dance students in ‘Verge’ in November 2016. Photo by Stephen Heath. The second choreographer, Scott Ewen, has been making his mark in the dance world since his final year at WAAPA in 2010, when he won the Finley Award in Dance and the Hawaiian Dance Award for Most Outstanding Graduate. Since then, he has gone on to dance for many of Australia’s most highly acclaimed choreographers, including Garry Stewart, Daniel Jaber, Larissa McGowen, Marine Paolmares and Shaun Parker, among others. He has toured internationally with Australian Dance Theatre and last year worked with Sweden’s ilDance Company, performing Godlike by Israel Aloni and Odelya Kuperberg throughout Sweden and Israel. As a choreographer, Ewen has created works for companies in Australia, New Zealand and Norway. Ewen’s piece in the Rise season is the evocatively titled Running with Scissors from Lions. Using as its source material the work of psychologist Sarah Seung-McFarland based on modern culture’s obsession with youth and beauty, the piece will examine issues around ageing and the lengths people are willing to go to prevent aging from occurring. “It explores the concepts of invincibility, beauty, fear and degeneration and reminds us that age is not all that we are and that beauty is much more than looks,” Ewen explains. WAAPA dance student in ‘Verge’ in November 2016. Photo by Jon Green. The third choreographer, WAAPA graduate Bernadette Lewis, is using a pastiche of imagery, memory and cultural references to explore process, transformation and reformation in her work, That which is still hidden is still unseen. “We use a sort of choreographic alchemy to apply or strip veiled layers of meaning to create something completely other to its original,” Lewis says. After graduating from WAAPA’s honours program, LINK Dance Company, in 2011, Lewis toured regionally with Tasdance, performing in works by Anton, Frances Rings and Marnie Palomares. Locally, Lewis has performed in works by Buzz Dance Theatre, Sue Peacock, Aimee Smith, Jo Pollitt, Patrice Smith, Claudia Alessi, Didier Théron and Natalie Allen. In 2014, she was nominated for most outstanding female performer at the WA Dance Awards. The other classically based work in the Rise program is choreographed by Kim McCarthy, WAAPA’s Coordinator of Classical Ballet. Before joining WAAPA, McCarthy was a soloist with the Hamburg Ballet Company under John Neumeier and principal dancer with the Compañia Nacional de Danza under Nacho Duarto. These four choreographers bring their brilliant expertise and fierce creativity to WAAPA’s first season of dance for 2017. 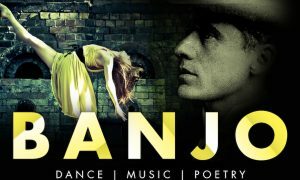 For more information, visit www.waapa.ecu.edu.au. Tickets, which are $27 full price, are still available. Photo (top): WAAPA dance students in Verge in November 2016. Photo by Stephen Heath, courtesy of WAAPA. Can we work together to maximise the performance of both dancers and athletes?